Middle-class homeowners are rushing to secure cheap remortgage deals to clear credit cards and car loans before interest rates rise. Inquiries from borrowers seeking debt consolidation mortgages have risen by 25 per cent over the past year. Under the terms of such loans, which do not have higher than normal interest rates, borrowers who have built up equity in their property can transfer unsecured debt to their mortgage. In some cases this can be a route out of debt; borrowers are supposed to use the cash to clear their credit card and other balances. The average credit card APR rate (the rate offered to more than half of borrowers) is close to 20 per cent. If you were to spend £5,000 on a credit card with a typical 18.9 per cent APR and then pay back £100 a month, it would take eight years to pay off and you would pay £3,988 in interest, according to Money Supermarket, the comparison website. However, there are concerns that some people may settle their existing debt but feel emboldened to borrow more, especially at a time when 0 per cent credit cards are freely available. The expectation that rates will rise is another danger. Someone with a £200,000 mortgage on one of the best deals on the market, HSBC’s five-year fix at 1.59 per cent, would pay £15,900 in interest over five years. Take that rate up to 3.59 per cent and the borrower would pay £35,880 interest over the same period. Aaron Strutt, a spokesman for Trinity Financial, a broker, says: “It is not unusual for people to have £5,000 or £10,000 on a credit card or a car loan. We help others with £40,000 or £50,000 of unsecured debts. One of our clients recently consolidated a personal loan and two credit cards totalling £12,000. The monthly repayments were £320. The client’s previous mortgage was £525 a month, but it was due to revert to a more expensive standard variable rate, which meant remortgaging was sensible anyway.” He says that Trinity helped to consolidate the mortgage and debt on to a cheaper two-year fixed rate with a total monthly payment of £412. The Bank of England base rate has been at a historic low of 0.25 per cent for a year and was at 0.5 per cent for seven years before that. However, the Bank’s rate-setting monetary policy committee has intimated that the rate could soon rise — and mortgage rates are likely to follow. On Monday the Bank is expected to make an announcement about its investigation into Britain’s debt mountain and the risk it poses to the economy. Outstanding credit card and other consumer debts (excluding mortgages) have reached £201 billion. The average debt held by homeowners is £24,960. Santander has imposed a £35,000 cap on the amount of credit card and other debt it will accept, while Barclays does not ask initially applicants to declare the size of the debt they wish to transfer, but does want to know about any debt commitments that will be outstanding when the mortgage is completed. 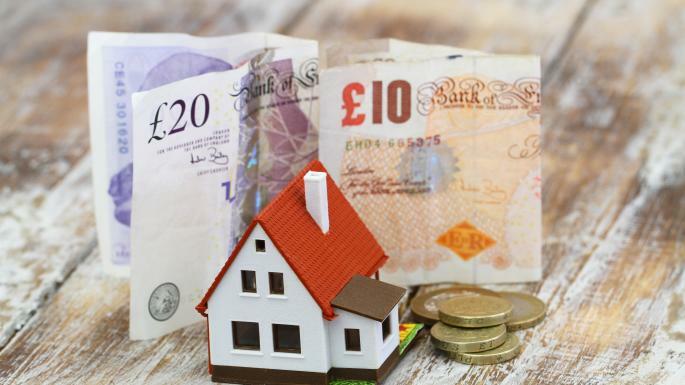 The Financial Conduct Authority (FCA) introduced stringent mortgage regulation and affordability criteria in 2014 as part of its Mortgage Market Review. However, it does not require a lender to include debts in affordability assessments for debt consolidation mortgages, merely to “take reasonable steps to ensure the debts to be consolidated are repaid”. It would not comment on whether its policy would change in response to the significant increase in such mortgages. It really depends on your individual circumstances. If you have minimal debts or are close to paying them off it’s unlikely to be worthwhile.